Jere and Leona have traveled the world for the past 35 years, developing and refining their diverse an unique stock of the finest high-quality American, English, French, and Chinese antiques. Following their retirement, it now is Jere and Leona’s passion to pass their love of antiques onto worldwide antique lovers, interior designers, and trade buyers via their online storefront and on the road Antique Shows, as well as to their children and grandchildren. Excellent period furniture and mirrors. Our antique furniture includes chairs, sideboards, tables, chest on chests, china cabinets, secretaries, desks, dining tables, chinoiserie, red lacquer and unique individual display cabinets ranging from petite to large one-of-a-kind pieces, and Mid-Century Modern. Porcelain from the finest Continental factories, including Chinese Export Rose Medallion; china by the best English and European factories; a wide selection of Johnson Brothers china; art pottery such as Detroit Pewabic Pottery, Rookwood, Moorcroft, Roseville, and Weller. Glass, silver, and clocks, including grandfather clocks. 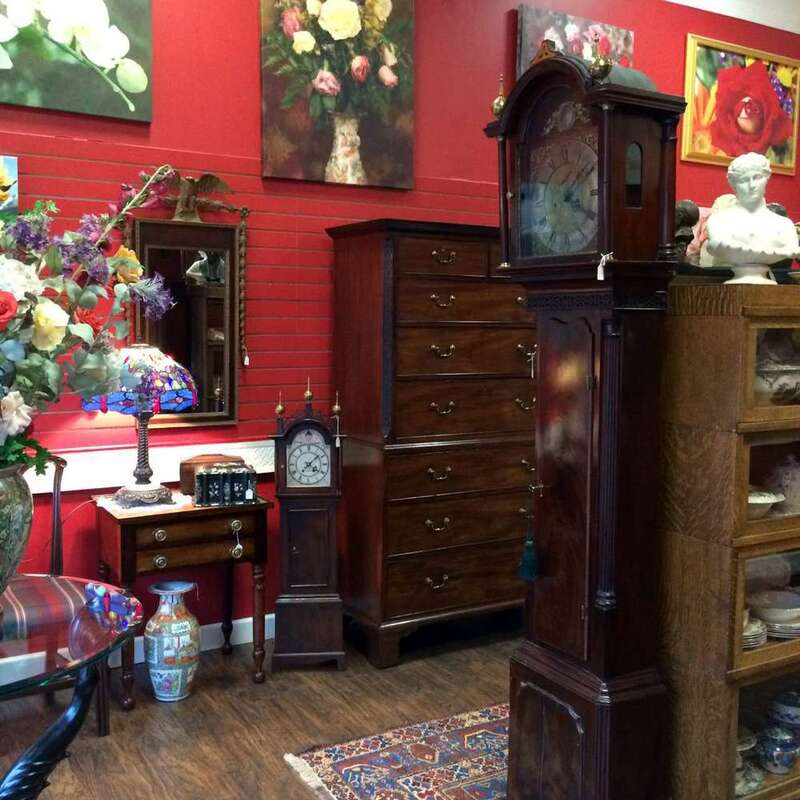 Rush Antiques and Rush Appraisals is located at 52132 Van Dyke Ave., Shelby Township, Michigan 48316, conveniently positioned in the center of the metropolitan Detroit area. We offer both antique sales and appraisals. Because our business is based on a high standard of integrity, we will never appraise an item we are selling, nor will we sell an item we’ve appraised. Our business character is our reputation, and our reputation is our livelihood. We respectfully offer you each service independent of the other.